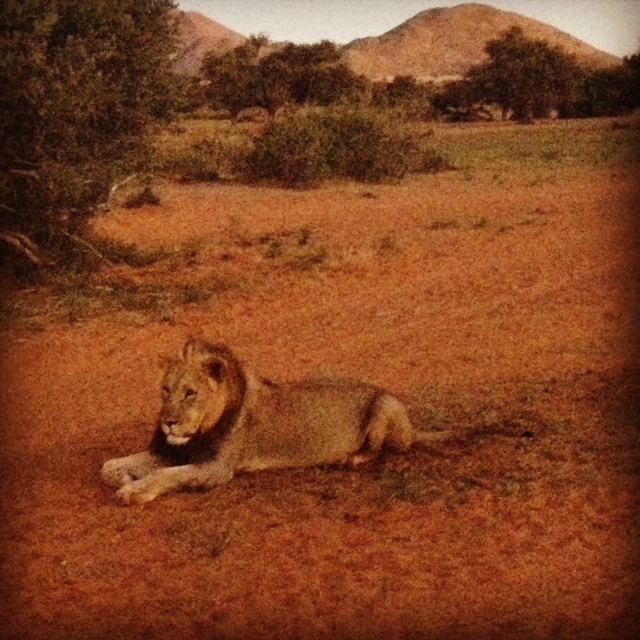 This weekend I was on safari at Tswalu Kalahari, rheumatologist in the far northern reaches of South Africa. One afternoon, store we set out specifically to track male lions — we’d already seen females, order but the famed black-maned Kalahari lion had eluded us. After two freezing hours of driving up and down around a few sections of the vast 100,000-hectare reserve to no avail, we were miserable and ready to give up. Watching a white rhino trot alongside us or an ostrich running at high speed in the distance might usually impress us, but not then. Our dedicated ranger Barry and his tracker Ben, however, were not quitters. They chased fresh paw prints, hunted for clues, and were not going to leave this mission unaccomplished. And sure enough, just as the sun was setting, we drove up on an absolutely stunning male lion just chilling on the side of the road. What was really special about this guy was that he leaned his head back and let out a series of spectacularly loud, guttural roars. Even Barry and Ben were mesmerized — apparently lions don’t vocalize as much as movies might lead us to believe, so this was actually a rare sight, even for seasoned experts like them. But the fun didn’t stop there — Barry and Ben sensed that more of the pride were nearby, so we drove back a bit until we found a lioness with two adorable three-month-old cubs also lounging in some grass. 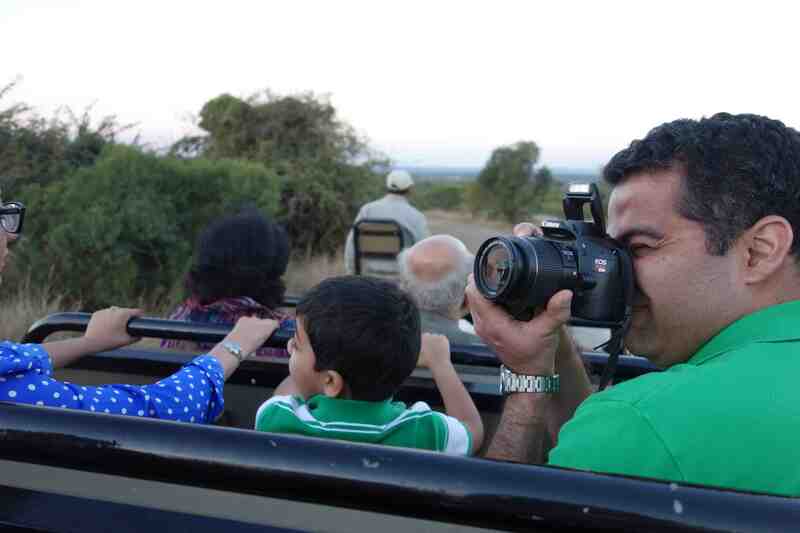 Then they took us back past the first guy to see if we could spot the male lion who’d been answering his calls. And about half a mile past our vocal friend we found his brother, and he performed for us too. By this point it was completely dark so that video came out worse than the first, but trust me: watching two male lions bellow at each other will raise your hair and blow your mind. Forget Lion King on Broadway, this is one hell of a roaring show.